Come this summer (no fixed date yet) we'll be calling Stavanger, Norway home for the next few years and we couldn't be more excited. I'm not sure we could have picked a place more different than Gabon - in fact, I might argue that they are polar opposites on just about everything from weather, to education to government. Like I mentioned earlier this week, this wasn't the easiest of decisions for us. Funny enough, Norway seemed a bit too 'normal.' Here we are young & childless and it seemed like we should be doing something more exotic. As we began to seriously consider it, I did what anyone would do when weighing a big decision - I made a pro & con list. With careful consideration, I sat down to make the list and I kid you not, everything was written very seriously. I set the list aside and returned to it later to share with Joe and I had to giggle to myself. Here we were humming and hawing over a move to Norway when basically the only negative we really care about is the weather. Yet another great example as to how much Gabon has changed us. I'm sure most people would have heard Norway and said 'yes' without a doubt. (Norway, who is #1 on the human development index, and had my expat friends in Gabon swooning.) As far as proposed locations go, Norway is fairly good. In any case, we're excited about the upcoming change and while it's always difficult starting over somewhere else, especially on a completely different continent, if we can last a couple of years in Gabon, Norway will be a walk in the park. Pulpit Rock - located 25 km from our future new home. How exciting, CONGRATS!!! That last picture is absolutely stunning :) I would have guessed Norway, but I had no idea that it was only the size of Montana, that's crazy! I am so jealous! I'm dying to travel to Norway, but at the moment it's so cost-prohibitive to us- the opportunity to live there would be incredible! A friend of mine lived in Bergen for a year and absolutely loved it- although she said she's never been more broke in her life. I hope you love it, and I can't wait to read your posts about living there! Wow Norway!! That's so exciting! 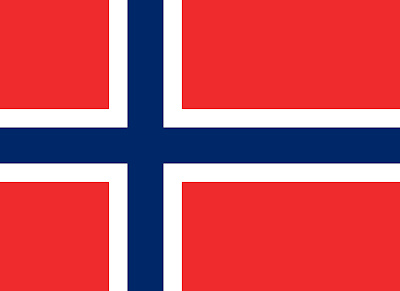 I have heard nothing but positive things from expats and friends who have visited or lived abroad in Norway. I'm sure it will be completely different than Gabon! You are so fortunate to get to experience so many different cultures and lifestyles abroad! Happy to help if you have any questions etc! I did suspect it was a Scandinavian country. Too bad your first choice didn't work out but huge pluses there with Norway. Congrats on your next move! @David - Thanks for the welcome! We aren't too worried about the expensiveness (if that's a word.) Gabon is uber expensive and everything is crap and we've lost the sticker shock! I will most certainly be referring to your site as we get closer to the move! @Melissa - I suppose this is where we say that things happen for a reason. Indonesia will be there in a couple of years ;) For now, we'll enjoy Scandinavia! Norway is truly incredibly. I think the gereingar (sp) fjord was my FAVE. It is like you are in a fairy tale countryside town. 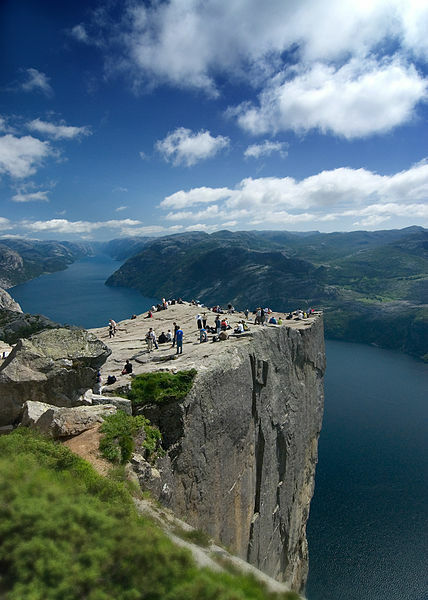 Once you go through the fjords, partake in all the biking/rock climbing, and travel Europe- I think you will love it! PS. They eat a lot of ice cream there. Very strange. You must be SO happy.